This NASA website provides access to archived and digital data related to the study of the surfaces and interiors of terrestrial planetary bodies (i.e. Mars, Venus, Moon, Earth and Asteroids). 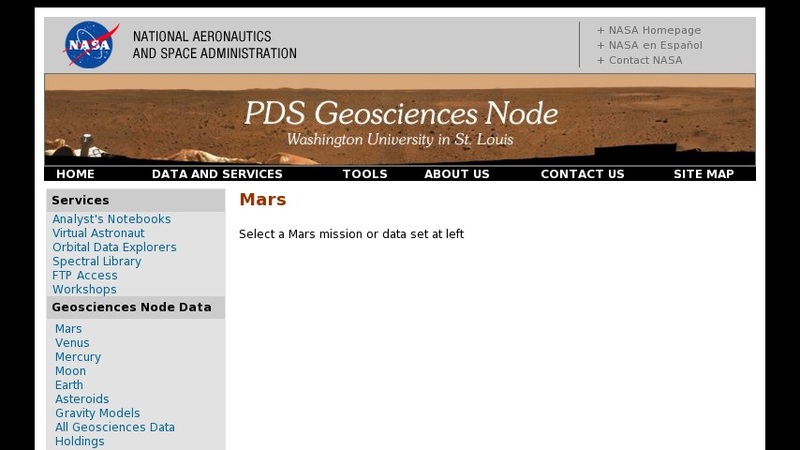 Organized by planetary body and mission, this site provides links to copious amounts of data, including links to all of the Mars-related data sets. The data sets are listed by mission, such as Odyssey, Pathfinder, etc.